Reporter: I’d like to introduce you to Nenita McElroy MSTOM, L.Ac. RN, a Carlsbad, California acupuncturist. Thank you for taking the time to meet with me and answer a question that seems to be on everyone’s mind when they first are considering getting acupuncture. Well, that’s certainly one of the most common questions I hear about acupuncture at my practice in Carlsbad, Aviara Acupuncture. Typically the most that you’re going to feel is a little pinch or a little prick that will disappear within a couple of seconds. The reason is, we don’t go deeply in most acupuncture points. All we need to do is just go a couple of millimeters, under the skin. Most people don’t even feel it. In fact, many people fall asleep during our acupuncture treatment sessions and they feel very relaxed afterwards. Reporter: I know I hated shots as a kid. What about those who are very afraid of needles? You should know there is a technique we can use in Carlsbad that the Japanese masters created over the millennia, because some of the Emperors didn’t like any type of pain. Japanese acupuncture is typically a shallower needling technique. We call it contact needling, where if a practitioner is utilizing the acupuncture needle it would just be just a millimeter or two insertion underneath the epidermis, the top skin layer. With contact needling we use certain tools, a probe for example, where we would stimulate the acupuncture point much like acupressure without actually penetrating the skin surface. Because the probe has a blunt end, we would just stimulate the point by deeper palpation and then we go onto the next point. That’s typically how Japanese acupuncture is done. Reporter: I understand one of the reasons why acupuncture is less painful than you might think is because of specialized acupuncture needles. How are acupuncture needles different? First and foremost, they are solid, very thin, single use, and sterile. There’s no hollowness to them like hypodermic needles that people are afraid of, because they’re not used for giving medicine or drawing blood. This keeps them very thin and flexible. Really they’re about the thickness of a hair or a cat whisker. You have nothing to be afraid of. Acupuncture has been used for thousands of years and, we’ve learned best practices to keep patients as comfortable as possible. So much so, we even do acupuncture for facial rejuvenation which is very effective to help give women a youthful appearance. If it was painful, acupuncture wouldn’t be so popular. I’d recommend having a consultation and asking your acupuncturist all your questions. Contact Aviara Acupuncture in Carlsbad today and schedule a complimentary 60 minute acupuncture consultation. We are conveniently located next to the Carlsbad Premium Outlets off the 5 freeway and Palomar Airport road. Call (760) 585-6959 or click here to schedule your free 60 minute consultation. For Mrs. Cooper, her busy life in sunny California has become a tug-of-war of aches and pains. A mother of three and at the same time managing a home business, she found it very challenging to keep a home and manage a business at the same time while suffering from lower back pains and migraine headaches. She tried using the traditional medicines prescribed by her doctor but it seems that these only provided temporary relief or made her feel bad. One day, her cousin recommended that she try other alternative medicines for her ailments. At first, Mrs. Cooper was skeptical since she knew her cousin was into new age stuff like meditation, yoga, organics, and herbal medicines. She felt she was entering into new, unfamiliar territory. But upon her cousin’s insistence, she tried this ancient Chinese practice called acupuncture in Carlsbad. Acupuncture is a procedure that treats illness through the insertion of thin needles at specific points in the body along with herbal medicine and other modalities. This process is said to alter the body’s energy flow into healthier patterns and used to treat a variety of illnesses and heath conditions. Just make sure you’re getting this treatment from a well-trained acupuncturist and that the acupuncture needles are sterile and disposable. Undergoing this kind of treatment is like receiving an injection. You only feel pain from injections if it is larger diameter and it is a hollow needle. While acupuncture needles are very fine and about the diameter of human hair. When properly inserted by a skilled practitioner, you rarely feel pain. However, you may experience a sense of electricity in the area of insertion. This kind of treatment for most patients find it relaxing and more often they fall asleep during treatment. 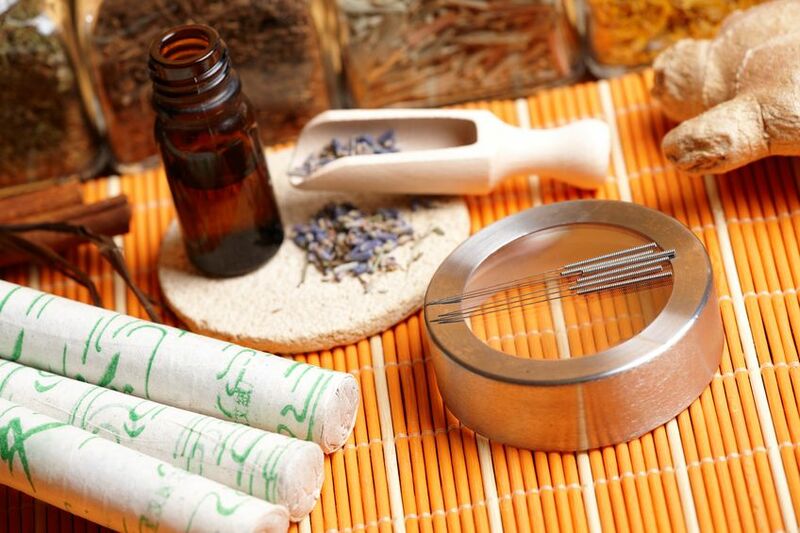 Alternative Chinese medicine like acupuncture views the body as tiny part of the universe, and subject to universal laws of harmony and balance. The Chinese believe that emotions and mental states play a role in causing diseases. Illnesses are also affected by other factors like the environment, lifestyle, and relationships. Acupuncture is based on the Taoist philosophy of yin and yang and the chi. The chi, or cosmic energy, is an invisible force found in the air, water, food and sunlight. In the body, it is a vital force that creates and animates life. Like a Western medical practitioner, the first thing an acupuncturist will do is to get the patient’s medical history and symptoms. This will be followed by a physical examination. He or she will be looking closely at the patient’s tongue, pulse, complexion, general behavior, and other signs like coughs or pains. From this, the acupuncturist will be able to determine patterns of symptoms indicating which organs are imbalanced. Acupuncture needles are always sterilized and it is a safe procedure. At Aviara Acupuncture in Carlsbad, California, we treat all kinds of ailments. Many patients find their way to acupuncture in Carlsbad after not finding relief for their condition from the medicines they are taking or the procedures or physical therapy they may have had. Once our patients have¬ success, many make acupuncture their first treatment option for issues that arise in the future. Let me begin by saying there are different settings for Acupuncture in Carlsbad and North County San Diego. 1. The conventional office setting is where you are one on one with an acupuncturist. You’ll have an assessment of your progress since the previous treatment and then a diagnosis of anything new that may be going on. Then the treatment begins and typically lasts between forty minutes to over an hour. The time will depend on the treatment and if other modalities like cupping or guasha are done. You may also receive acupuncture from the front and back in our Carlsbad acupuncture office. 2. Another common setting called community acupuncture which can be found in Carlsbad, Encinitas, Vista, San Marcos and Oceanside, have community acupuncture available. In the community acupuncture setting, you will be in an open room with one to several other patients receiving acupuncture at the same time. Typically there is one practitioner administering the acupuncture treatments. Community acupuncture is a cost conscious treatment option. The sessions are typically from thirty to forty minutes in length but you may not feel comfortable to discuss sensitive issues with other people present. Is Acupuncture paid by insurance? Some plans do pay for acupuncture and some Acupuncture practices in Carlsbad do accept insurance. It may also be possible to submit a superbill to your insurance company or pay through your HSA or Health Savings Accounts for reimbursement. Often times, even if a practice accepts insurance, the rates paid can be very low and it is common that payment can come many months after the treatment is given. In addition, it may require a tremendous follow up effort to receive the deeply discounted reimbursements, so some practitioners choose to focus on treating the patient versus spending the time working on the insurance companies for payment. come anywhere close to that amount of cost, before their condition is completely resolved. How to Acupuncture fees range? North County Acupuncture rates vary. For instance, I personally paid $85 a treatment for years. There have been acupuncture practices in Encinitas and Carlsbad that charge upwards of $150 per Treatment, while $80 to $90 is more typical. Community acupuncture in North County can be as low as $25 to $35 a treatment, but depending how busy it is, you can be in a room with several other people receiving acupuncture at the same time, and the sessions are typically shorter, around 30 minutes time frame. We always begin with a complementary consultation so we can determine if acupuncture is right for you and your condition. We also set your expectations and educate you how acupuncture works and typical response rates, how long a given treatment plan may take to resolve your condition. In my personal experience and at Aviara Acupuncture, most clients are recovered from their ailments within 7 treatments, which results in an out of pocket expense well below most deductibles. The first or initial treatment is the longest. It’s where we establish your diagnosis and your pattern of energetic imbalance, which will be up to two hours in length and costs $130. Follow-up visits are generally one hour, and they run at $85 a session if purchased at time of service. We do have special package pricing as well. For 10 prepaid treatments, starting with your follow-ups, you get a $10 off discount, bringing the session to $75 for a 10-session package. If you are able to come in more than once a week, then your follow-up visits go from $85 to $65 prepaid. That’s for visits at least two to three times a week, which we recommend for pain issues. We are conveniently located off the I-5 freeway at Palomar Airport Road.